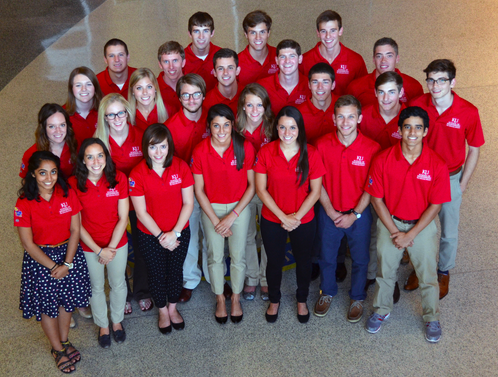 LAWRENCE — The booming business environment of the Pacific Northwest will serve as a real-world classroom for 25 members of the senior class of the Self Engineering Leadership Fellows at the University of Kansas School of Engineering. "Last year's inaugural SELF on the Road to California build such a great foundation for this program. We are excited to make more connections in Seattle and Portland and continue to build and strengthen relationships that benefit KU Engineering," said Charles Neiss, senior coordinator with the SELF Program. Other stops on this year’s SELF on the Road tour include SpaceX, Starbucks Roasting Plant, Nike and a bridge construction site led by Kiewit Corporation. The Fellows will also be the featured guests at a KU Alumni Association reception for Seattle area alumni on Aug. 19. Follow their progress on Twitter, or read about their adventures at the SELF On The Road blog. SELF on the Road is made possible by Sabre Corporation and the SELF Program.